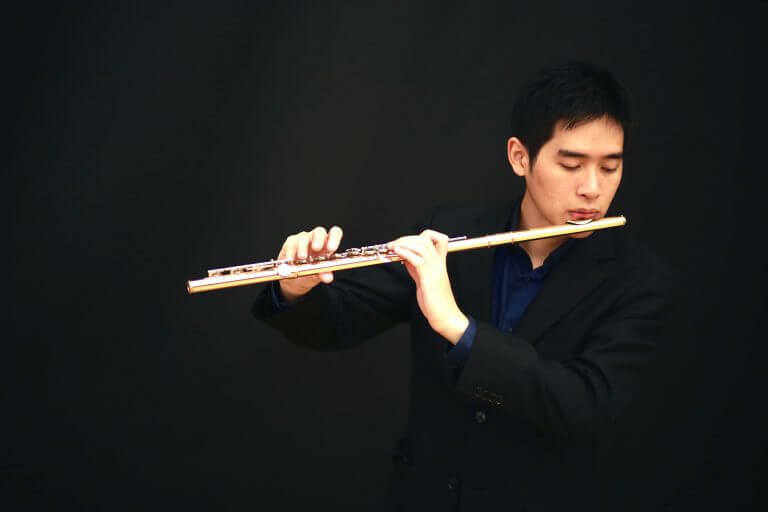 Currently Principal Flute of Hong Kong Sinfonietta, Hung Chien-chun was born in Taichung, Taiwan, where he received his first professional music education at Nantou Senior High School. Hung was admitted to the Berlin University of Arts in 2011, studying with Roswitha Staege and Werner Tast. He obtained his bachelor’s and master’s degrees in 2015 and 2017 respectively with the highest score in all major examinations, and received scholarships from Paul-Hindemith-Society, Ad Infinitum Foundation and German Academic Exchange Service. Hung won prizes at numerous international competitions, including First Prizes at the Vienna Grand Prize Virtuoso International Music Competition, Portugal Atlantic Coast International Young Soloist Competition and the Bertold Hummel Competition (Flute) in 2015, and Second Prize at the Stockholm International Music Competition in 2014. In Taiwan, Hung was a member of the National Taiwan Youth Symphony Orchestra and the National Taiwan Youth Wind Orchestra. In Germany, he was Principal Flute of the Symphony Orchestra of Berlin University of the Arts and the Young Euro Classic Festival Orchestra. In 2016/2017, he played with Göttinger Symphony Orchestra as a trainee flutist. He was also invited by Paul-Hindemith-Society, International Isang Yun Society and German Flute Association to perform as a soloist and chamber musician during his stay in Germany.